Legal protections exist under European Union and UK law. Please note the important Judgement of the European Court of Justice in Case C-237/07: Dieter Janacek v Freistaat Bayern. Press release no. 58/08 dated 25 July 2008 made clear that ‘Where there is a risk that the limit value for particulate matter may be exceeded, persons directly concerned can require the competent authorities to draw up an action plan’. 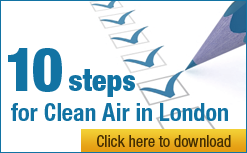 Commissioner Dimas confirmed in his letter dated 16 December 2008 to Edward Davey, Shadow Foreign Secretary of the Liberal Democrats, that the European Commission is preparing the launch of infringement proceedings against the UK for exceeding the PM10 limit values. “The Environment Agency is committed to ensuring that any industrial installation or waste operation we regulate will not contribute significantly to breaches of an [Air Quality Strategy] objective. “It is a mandatory requirement of [Environmental Permitting Regulations] legislation that we ensure that no single industrial or waste operation we regulate will be the sole cause of a breach of an [European Union (EU)] air quality limit value. Additionally we have committed that no installation or waste management operation will contribute significantly to a breach of an EU air quality limit value. and more particularly paragraphs 4.39 to 4.42. “4.39 The potential for environmental impacts that would breach a statutory limit should be addressed. LHAs and the HA have a statutory duty to prevent a breach of statutory limits (e.g. air quality) due to incremental change of volumes of vehicular traffic on their networks. “4.40 If a development is likely to generate significant vehicle trips on the local highway network or [Strategic Road Network], which in turn would be likely to cause a breach of statutory limits, the relevant authority could be held legally responsible if a breach were to occur. In these circumstances, the developer may be required to propose mitigation measures that will avoid such a breach. If a breach remains likely, this could be a material consideration in the assessment of the planning application and may result in the refusal of planning permission. “4.41 Therefore, where a development proposal is likely to generate significant traffic-related environmental impacts, the TA should address such matters. Alternatively, if the development requires a formal environmental impact assessment (EIA), which deals with these issues separately, this should be cross-referenced in the TA.